Scott Lang has never exactly been the world's best super hero. Heck, most people don't even think he's been the best Ant-Man! But when the Superior Iron Man calls with a once-in-a-lifetime opportunity, Scott's going to get a chance to turn it all around and be the hero he's dreamed of being. Sure he's been to prison! Sure he's been through a messy divorce! Sure he's been, um... dead. But this time is different! 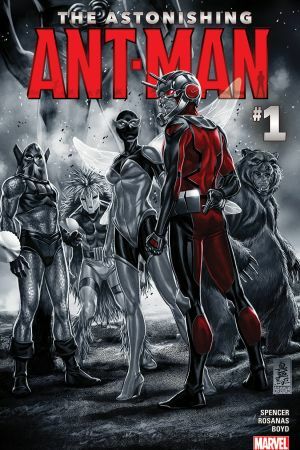 When a curveball upends Scott's life, Ant-Man returns to his former life of crime! Or has he courageously gone undercover as a hero? Find out here! Scientist Hank Pym meets Janet Van Dyne, the daughter of a renowned scientist. But will past heartache prevent Hank from falling in love again? Witness the birth of Ant-Man and Wasp! 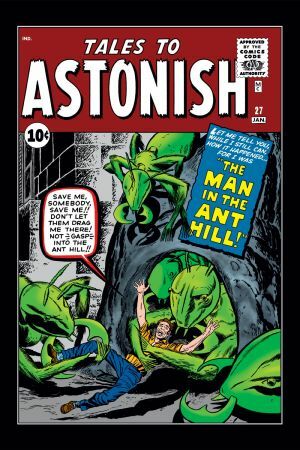 "The Man in the Ant Hill"
Hank Pym's first appearance! Before he was Ant-Man, Henry Pym was a talented scientist on the brink of discovery. 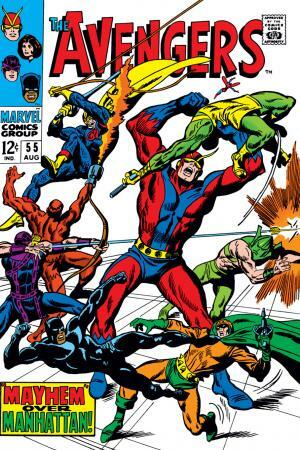 Hank Pym shrinks for the very first time, and discovers his affinity for insects. 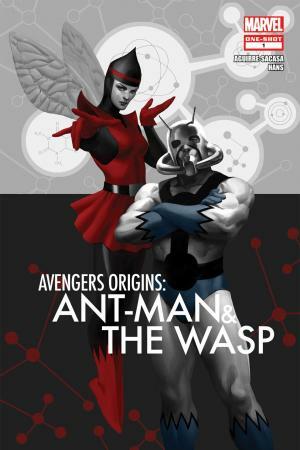 Super hero couple Ant-Man and Wasp become founding members of Earth's Mightiest Heroes. 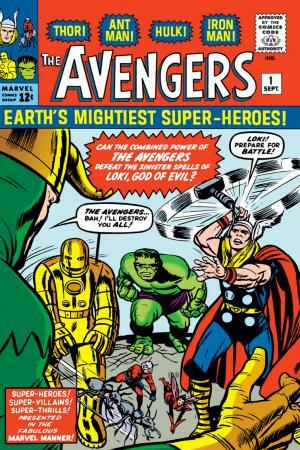 The Avengers assemble for the first time. 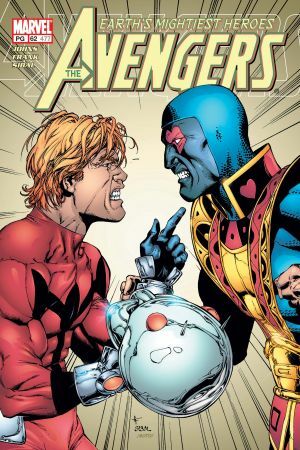 Pacifist Hank Pym creates a peacekeeping automaton. But when Ultron-5 gains sentience, will Ant-Man come to regret his greatest invention yet? Enter Ultron, the Living Automaton! When a costumed villain begins terrorizing New York, the Avengers must investigate. 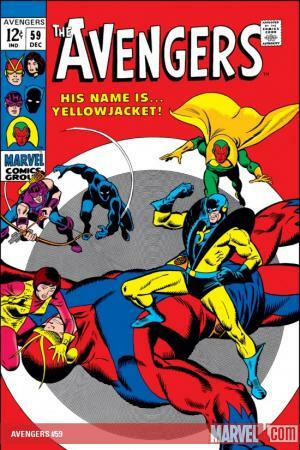 Who is the Yellowjacket? And will the Avengers uncover the truth about the masked menace before it's too late? 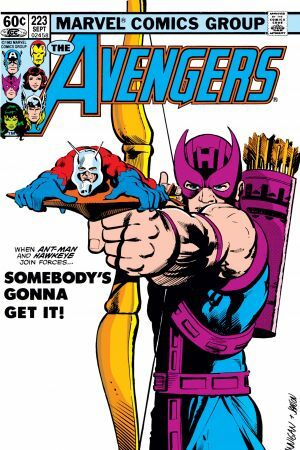 Scott Lang's first appearance. 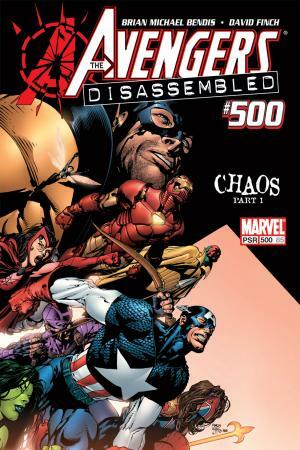 The Avengers are introduced to Lang, a Stark engineer who is updating the Avengers Mansion's defense system. Plus, Scarlet Witch and Quicksilver fall under attack from Magneto! 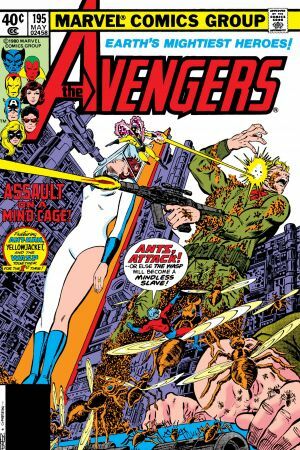 Scott Lang teams up with the Avengers to take on Tony Masters, aka Taskmaster. But will the team trust the now-reformed Ant-Man? Ant-Man and Hawkeye team-up! With Taskmaster still at large, the two heroes must unite and take down the villain once and for all. 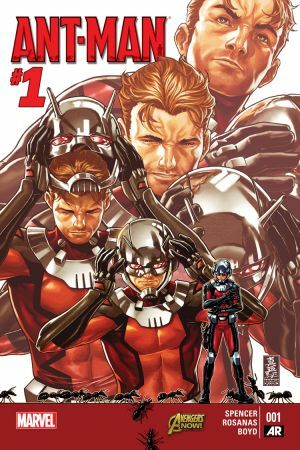 Scott Lang, Ant-Man II, becomes an official member of the team. 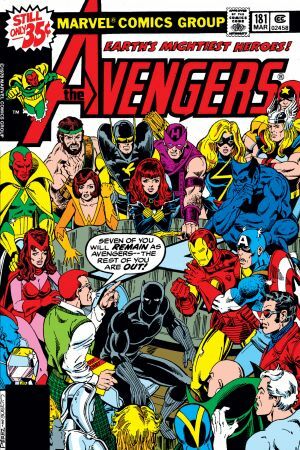 The issue that ushered in a new chapter, and roster, for the Avengers. Brian Michael Bendis draws the curtain on the second Avengers volume in this double-sized anniversary special. Scott Lang faces impending doom from a surprising source. An Avenger will fall at the end of this issue. 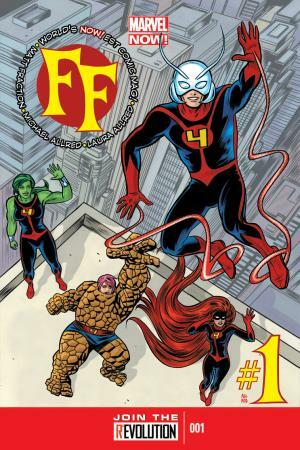 The Fantastic Four take a hiatus from the Future Foundation to explore alternate dimensions. Scott Lang, She-Hulk, Medusa, and Miss Thing have been hand-picked as substitute faculty! Still in mourning for his daughter, will Scott be the mentor the FF needs him to be?